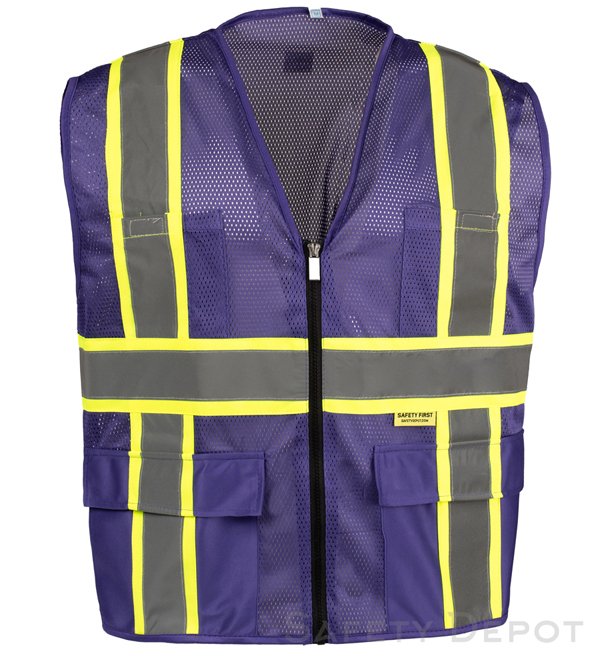 Hi visibility purple safety vest featuring multiple pockets with 3 inch wide tape combined with 2 inch reflective stripes for two tone safety and visibility. Proven quality and reliability with multiple washings and ample space to allow personalization with your logo or company name. From Anonymous of Downey, California on 10/29/2018 . From Stephanie Jordeson of Geyserville, California on 9/13/2018 . Very good product. Exceptionally pleased with the design and comfort of the vest. Lots of usable pockets and fits well. From Wanda Dusin of Manhattan, Kansas on 10/23/2017 .